Cute, Colorful and FUN Hanging Chairs for Kids! Best Hangout Tent Style Hanging Pod Chairs for Kids! They look like tents that hang from trees! 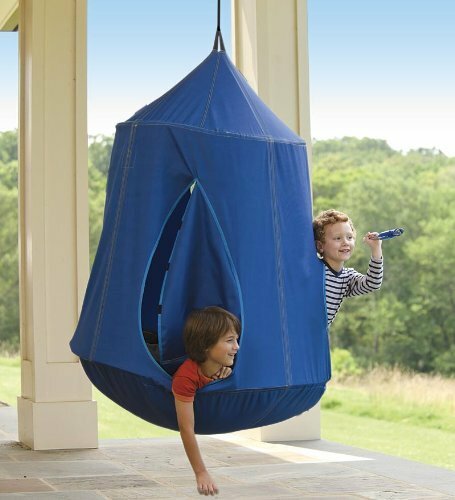 They are FUN, cool and colorful hanging pods usually made from canvas fabric that kids can go inside and literally ‘hang’ with their best friend or brother and sister! Some even come with LED light inside! Can you imagine how awesome it must be for a child to have their own personal ‘hanging’ space? The one you see on this picture is called HugglePod and it ‘blends’ in with the trees and nature! It has three windows and a door! It holds approximately three small kids inside ages 3 and 4 to about 5 or 6 years old. Cute HugglePod HangOut Space for Girls! This is one of the cutest (and super cozy!) 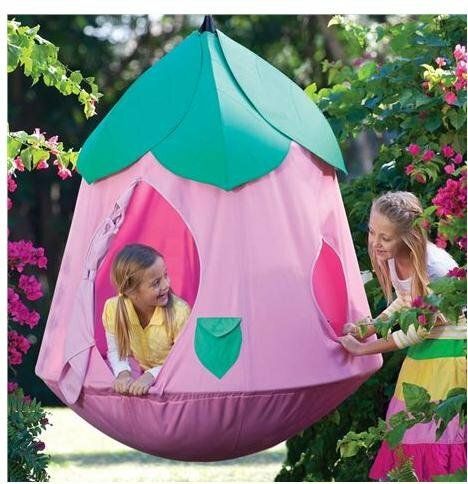 pink hanging tent for little girls! It looks like a ‘princess tree house’ made of canvas! You can hang it outdoors, on a tree, or inside her own bedroom! Great for reading her favorite magical books or just hanging out with her best pal! Cool Hanging Tent with LED Lights, in Blue for Boys! Best Hanging Tents for Kids! Check out this ultra-cool and gorgeous blue color canvas hanging tent with cool LED lights for boys! Very comfy space to hang out and let their imagination go wild! These are very durable and very easy to assemble! Fun Soft Fabric Hammock Swing Chair for Kids! 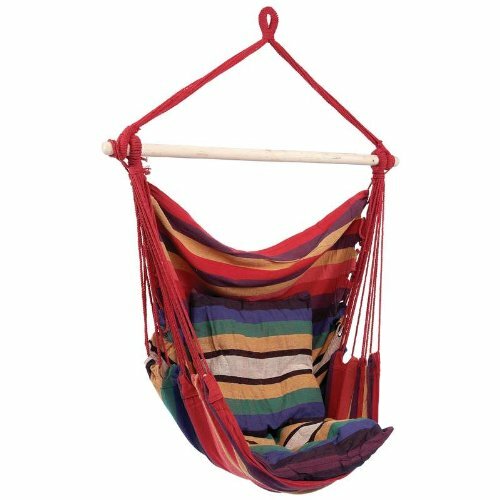 This is a fun and colorful cotton and polyester hammock swing chair for kids! Great to have in their bedrooms so they can have a nice and quiet space to relax! 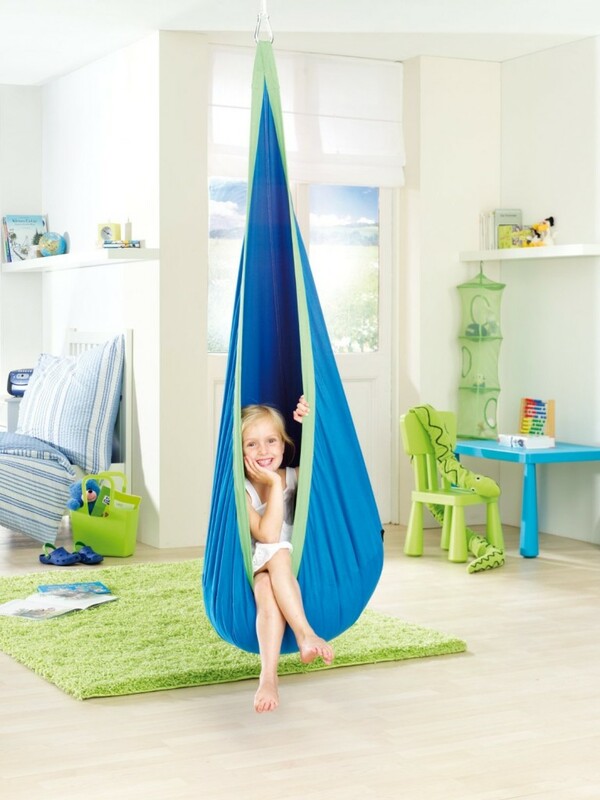 Kids love having this fun hanging chair in their rooms! It’s sturdy, cute and awesome! They can also place their favorite pillow or cushion inside to make it even more comfy! 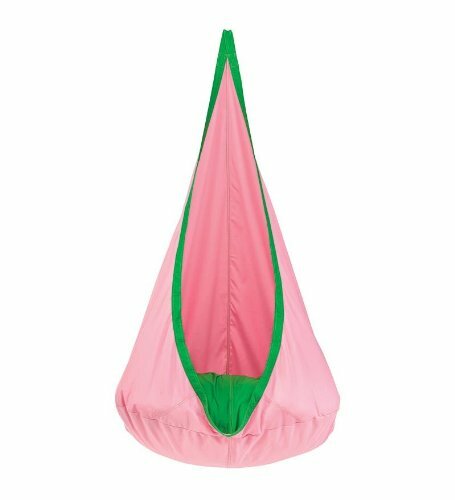 Another fun, colorful and very cozy child size hanging pod chair for sale! Fits kids ages 2 and 3 up to 9 years old! Yes, you can also wash them in your washing machine! 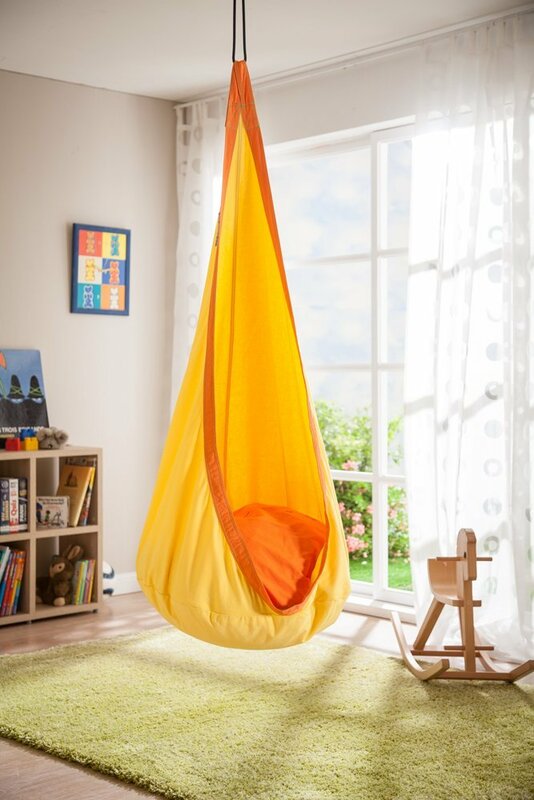 Child Posture Friendly Hanging Pod Orange and Yellow! Fun Hanging Pods for Kids! It is a ‘sunny’ yellow color! Great hanging space to brighten up any room! It is extremely soft, as it is made of cotton! Your job now is to find the perfect ‘hanging spot’ for your kid! Fun Cotton Canvas Hanging Seat! Another awesome canvas hanging chair for girls! It is pink and green and it is very comfortable to hang out inside! 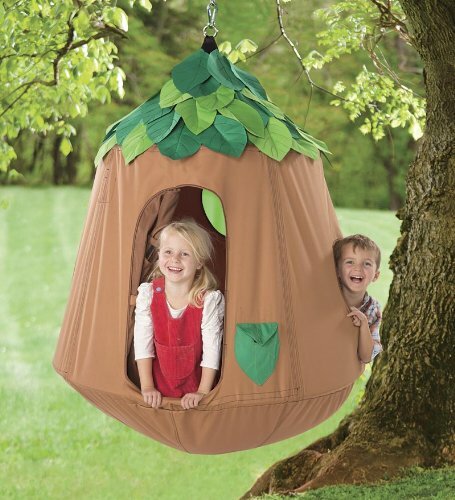 They love to play with their dolls and teddy bears inside this cute hanging tent! Fun and Affordable Hanging Rope Chair! What a gorgeous, fun and colorful hanging rope chair for kids! Fun hanging chair to read! 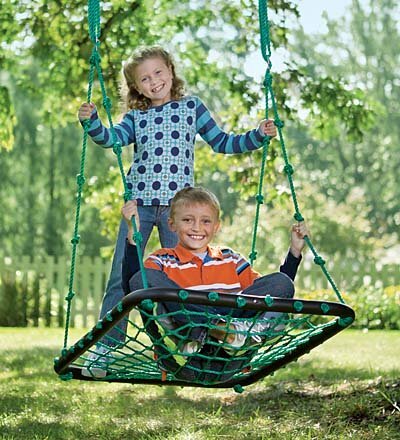 Hanging Platform Swing for Kids! I couldn’t resist showing you this! It is a hanging platform swing for kids! They can use it as a chair or they can stand up on it and swing back and forth! It fits kids ages 5 and up! Can you think of a better outdoor gift idea for kids than this? *I hope you were able to choose a fun and cute hanging chair for your child! How about getting a cool chair for your teenager now?